I had great plans to write an icon during the 12 Days of Christmas. Boxing Day (December 26) I sat down with a Claybord and opened up the paints that I mixed *cough*two*cough* years ago to find all but two had hardened. new paint. 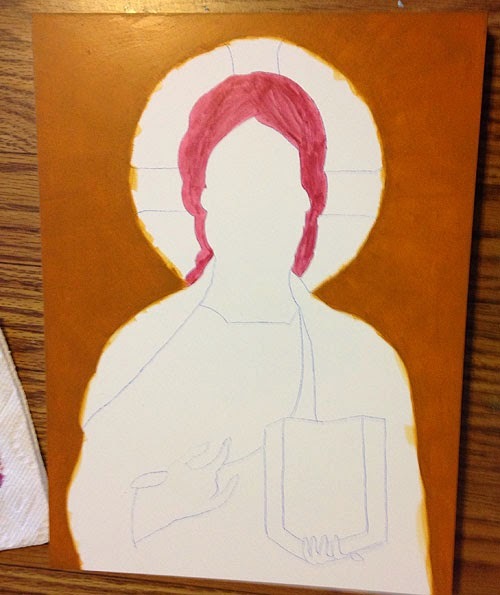 This is not just a prayerful meditation in paint, but an experiment in using a different brand of paint. I was taught using Jo Sonja paint, which when watered down, creates a flat matte surface. I don't own any of that brand, but I do have plenty of Golden fluid acrylic paint. Why new paint? One of the colors mixes that survived was Hair. 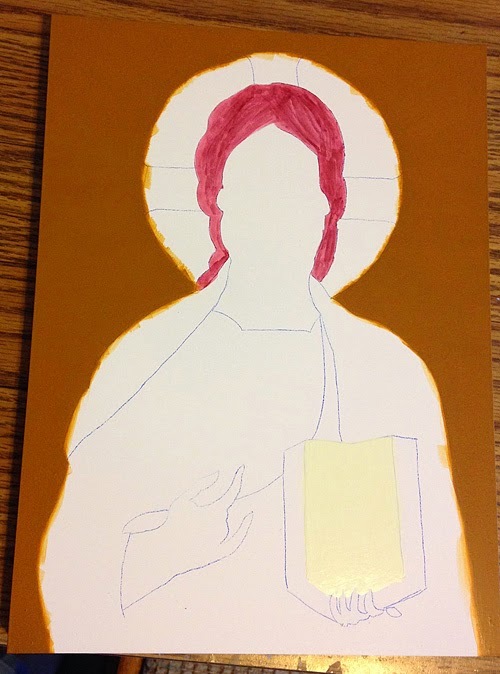 Which was turning Jesus into a redhead, thus the need for a couple of new Golden paints. I will share the equivalents, when I discover if they work. So far, the Raw Sienna behaves exactly like the Jo Sonja, which is to say, it's a pain to get even coverage. It is drying flat and matte. The Parchment, the only other color I could paint without needing later, has dried flat, but glossy. Whether this matters once the varnish goes on, remains to be seen.